Local 700 Political Director Harold Irving with 41st Ward Democratic Committeeman candidate Andrew DeVito and 41st Ward Alderman Anthony Napolitano. Teamsters Local 700 announces the endorsement of Andrew DeVito in his candidacy for 41st Ward Democratic Committeeman. 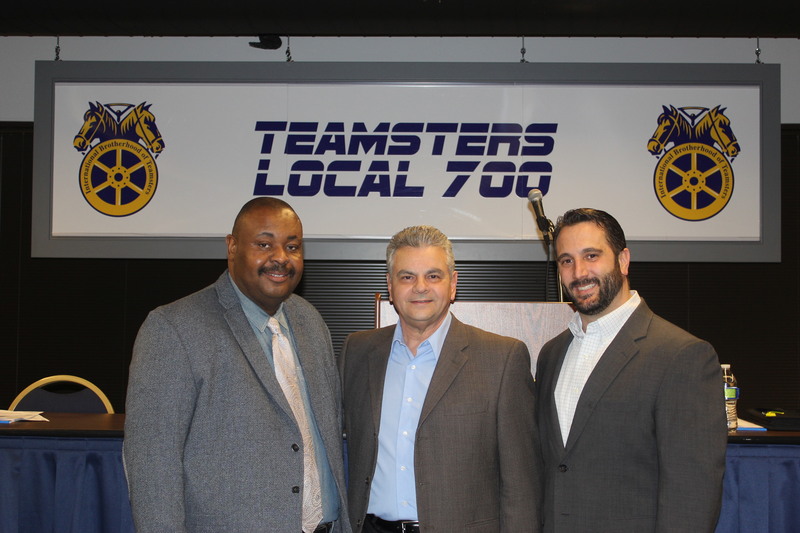 DeVito’s strong union background and political agenda to protect the middle class are key reasons Teamsters Local 700 is supportive of his campaign. 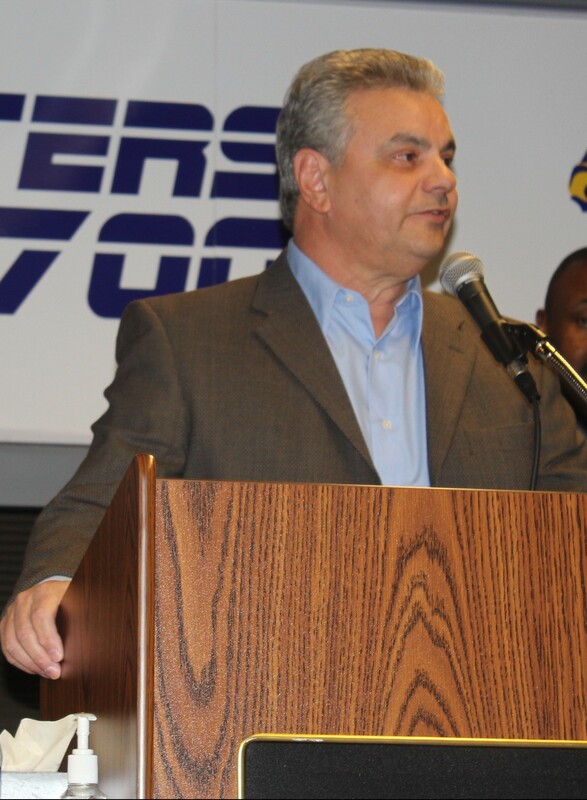 41st Ward Alderman Anthony Napolitano introduced DeVito during the Local 700 General Membership Meeting on Tuesday, Feb. 9. Alderman Napolitano also stopped by the Joint Council 25 delegates meeting at Teamster City earlier in the day to thank everyone for their support. DeVito, who has been a resident of Norwood Park since 1996, began his career with the city in 1971 as a laborer in the Department of Streets and Sanitation. After working as a foreman in the garbage collection division, he transferred to the Department of Aviation, where he oversaw construction projects at O’Hare Airport. He was then appointed Business Agent of Laborers Local #1. After increasing union membership, DeVito was promoted in 2012 as Community Liaison for the Laborers District Council of Illinois, which represents nine counties in our state. He served for 12 years as an elected delegate for both the Laborers District Council and the AFL-CIO Laborers Local #1. Overall, he was a union member in good standing for 44 years and worked for the City of Chicago for 34 years. All Teamsters and their families are encouraged to vote for Teamsters Local 700-endorsed candidate Andrew DeVito for 41st Ward Committeeman on March 15, 2016.